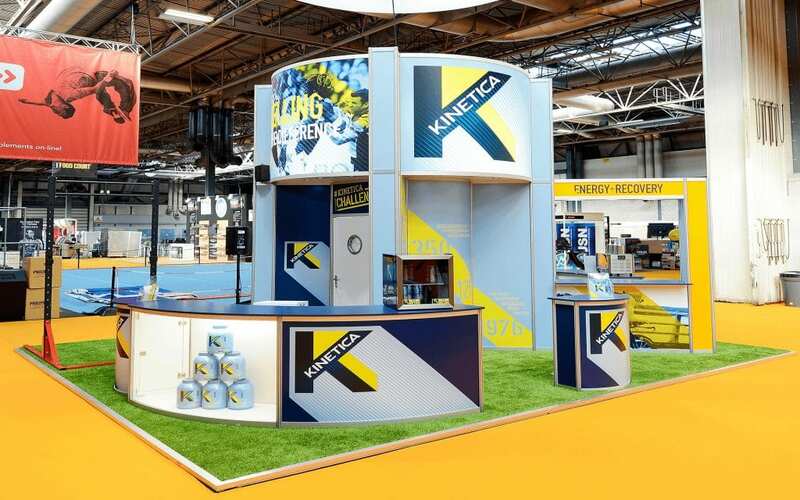 If you are looking for an effective and eye-catching solution for your next exhibition stand then we would thoroughly recommend one of our lighting gantry systems. 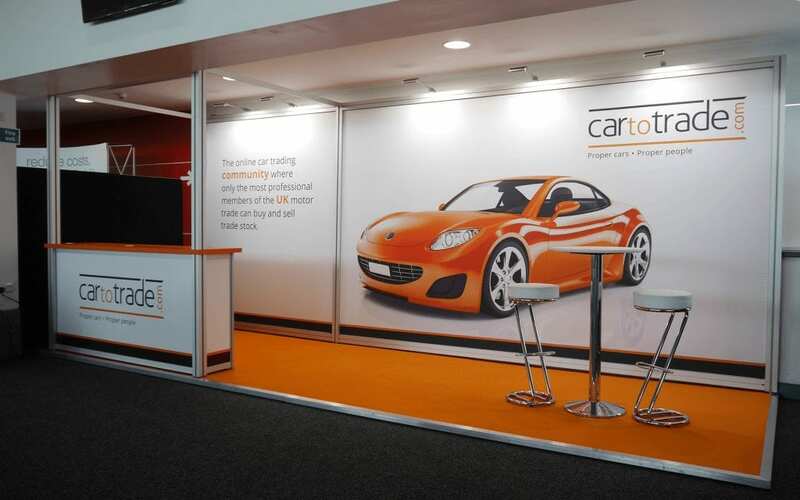 Ideal for exhibitors wishing to display larger items we have used our lighting gantry to display a wide range of products including cars, motorcycles, boats, large monitor speakers, caravans, trucks, mobility scooters, air conditioning units, toys and access equipment to name but a few. Lighting gantry is versatile enough to be used on non-product based stands and has been used to effectively promote the services of insurance companies, letting agents and telecoms companies. 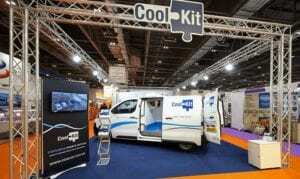 Our gallery page demonstrates that the gantry is perfect for attaching banners to. 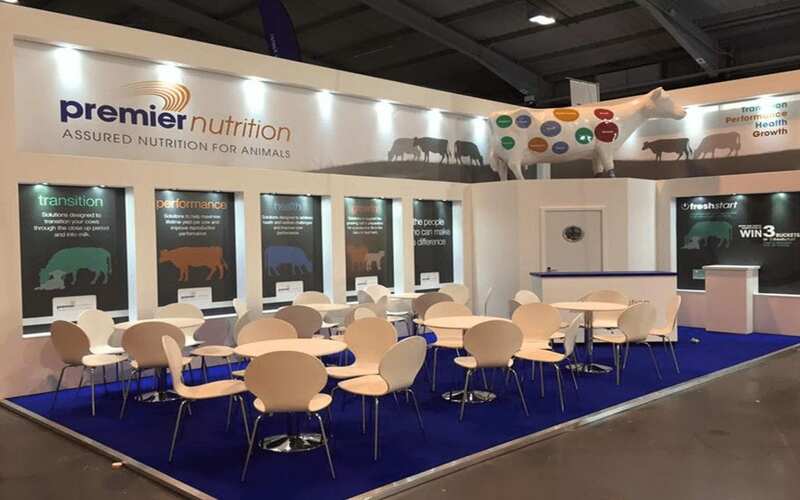 Large format, high-quality printed banners can simply be cable-tied into position and tensioned for to provide maximum visual impact, and not only do these banners provide an ideal backdrop for your products they also provide a quick and cost effective “partition wall” between you and your neighbouring stands. We stock two types of gantry: the smaller 222 system and the larger 290 system. The smaller 222 system is capable of spanning up to 10m unsupported, whilst the heavier duty 290 system will cope with up to 14m. These industry-leading span capabilities make the system ideal for illuminating difficult areas without the clutter of numerous supporting legs or inconveniently placed towers within the stand area. Whether you choose the Quatro 222 or the 290 version, both systems utilise a beautifully engineered boltless connection system which provides virtually tool-free assembly (a rubber mallet is all that is required) and this, combined with lightweight components, ensures incredibly short installation times and, therefore, reduced costs. Lighting gantry systems are known generically within the industry as Trilite. However, our system is superior in many ways to the outdated “nut & bolt” Trilite system as our tool free system not only reduces set up times it also increases the efficiency of the connection. When compared to Trilite the results are clearly visible with our system showing less deflection (sagging) and providing longer free span capabilities. With our large stocks of both the smaller and larger systems we are able to offer you very competitive hire rates, whether you are looking for a full turnkey/full service installation and hire or whether you simply want to dry hire and install yourselves. The R8 System utilises supports and frames of varying lengths that give an almost infinite variety of designs that can be achieved. 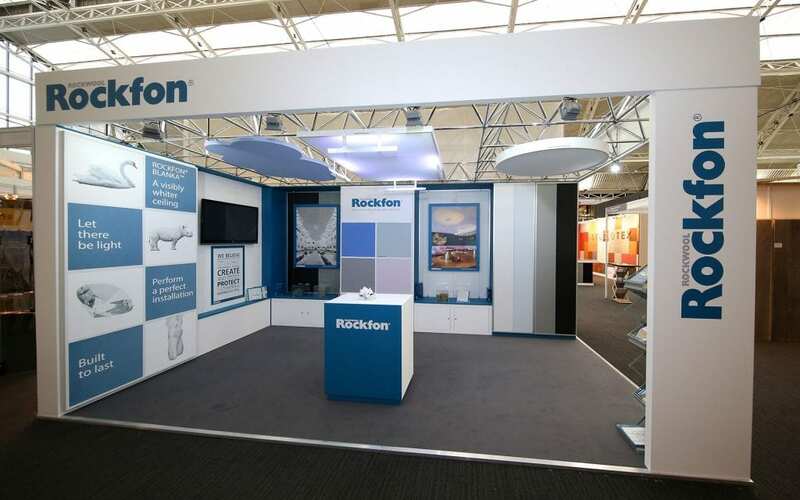 To further enhance the R8 Systems already impressive performance curved components are also available, the integration of curved elements into the design process ensures that the possibilities for exciting and unique exhibition stands are endless.